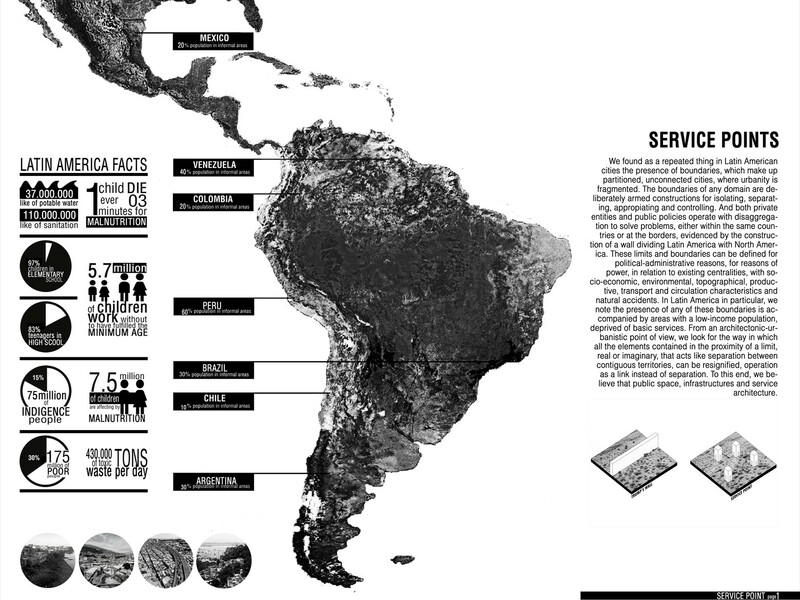 Suquía River as a geographic limit. 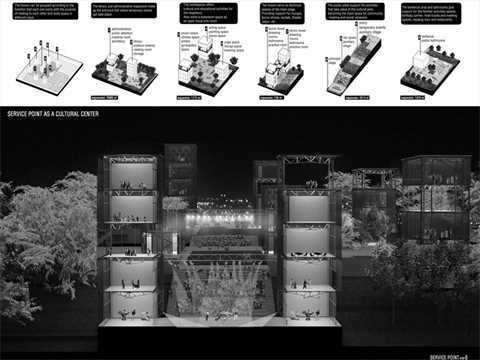 Cultural center in front of Suquía River. 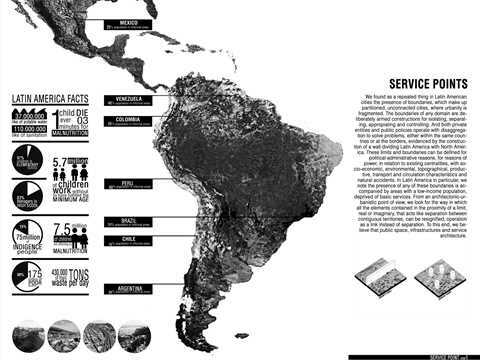 Service Points as a cultural center. Service Points in São Paulo, Brazil. 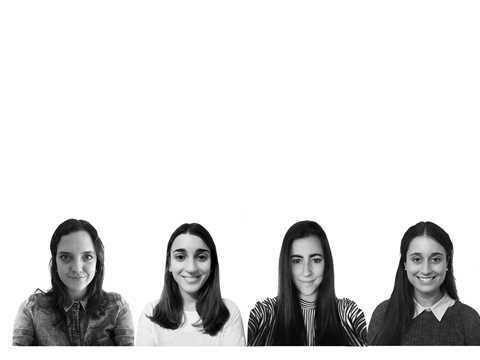 Next Generation 3rd prize winning team for “Service Points” - Public facility towers, Córdoba, Argentina (l-r): Ángela Ferrero, Lucía Uribe Echevarria, María Belén Pizarro, María Augustina Nieto and Seizen Uehara - all students at Universidad Nacional de Córdoba, Córdoba, Argentina. 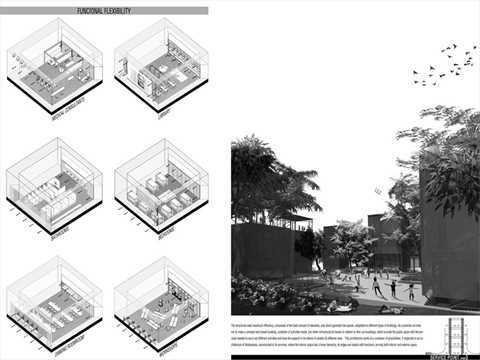 Public facility towers: Transferable and adaptable structures providing public amenities in underserviced and most often marginalized neighborhoods of Latin American cities. 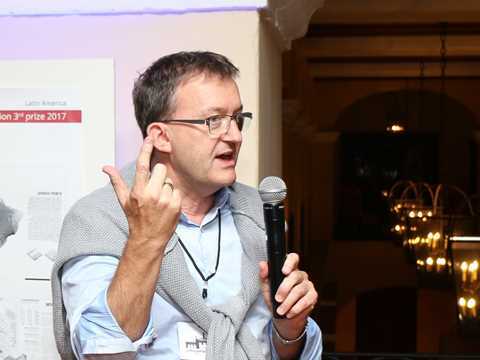 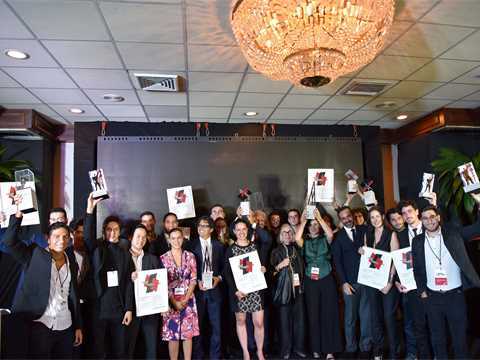 The project’s twofold objective is to provide an array of services for low-income populations as well as to increase social interaction among citizens. 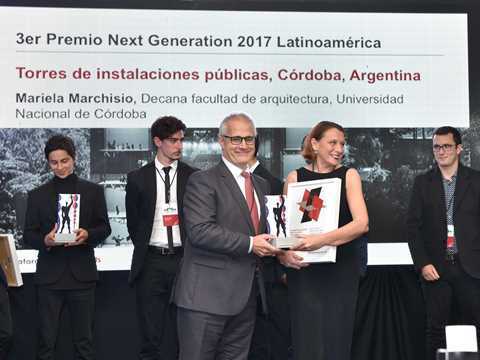 Juan Cruz Serafini (far right) presents the Next Generation 1st prize project: a large-scale plan to harness tidal energy on the coast of Punta Loyola, Argentina. 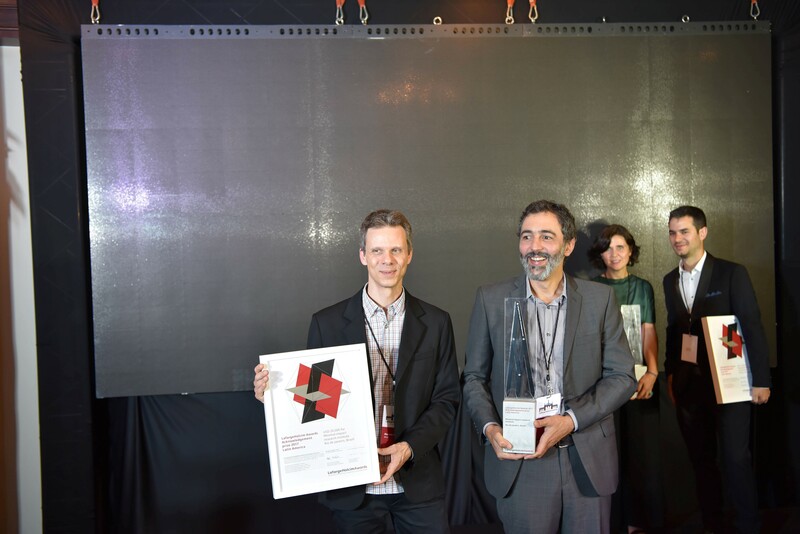 Juan Cruz Serafini (standing, right) presents the Next Generation 1st prize project: a large-scale plan to harness tidal energy on the coast of Punta Loyola, Argentina. Next Generation 3rd prize winners Ángela Ferrero, María Augustina Nieto, María Belén Pizarro, Seizen Uehara, and Lucía Uribe Echevarria present their Service Point Towers, with which they plan to offer services mainly for underprivileged residents of Latin American cities. 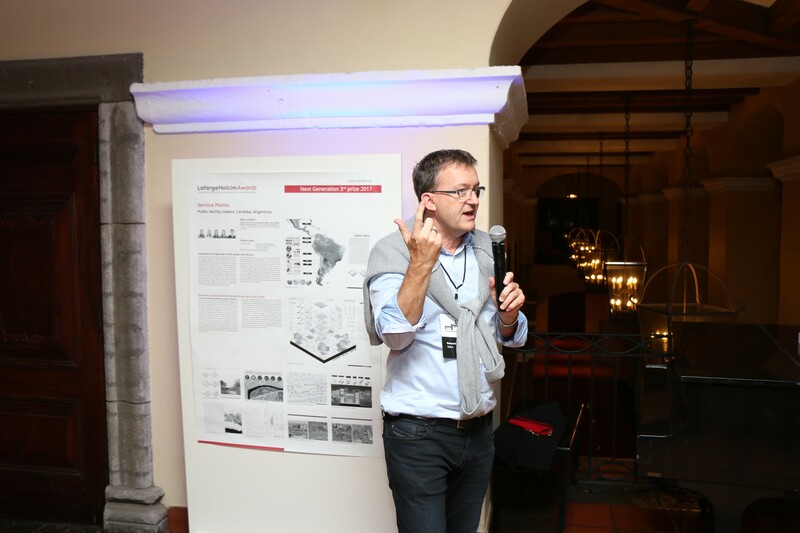 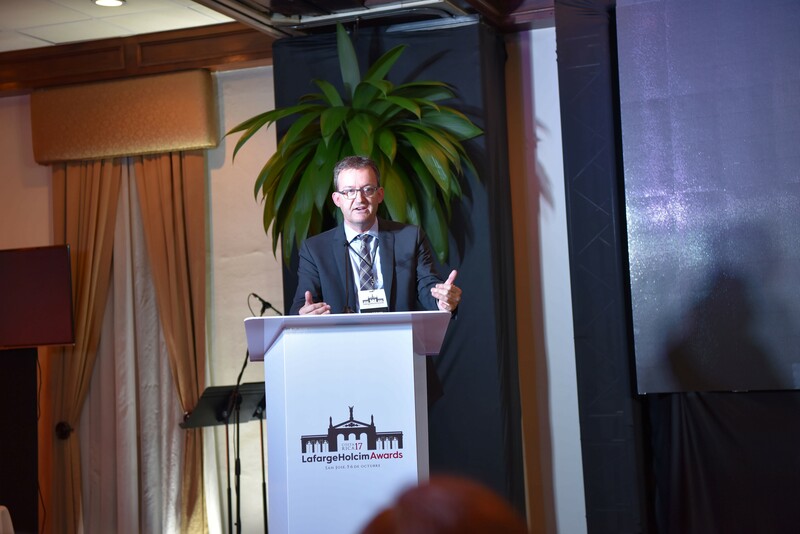 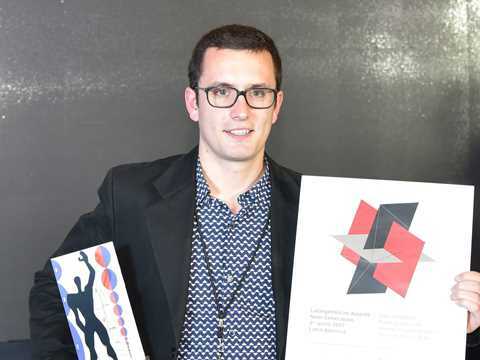 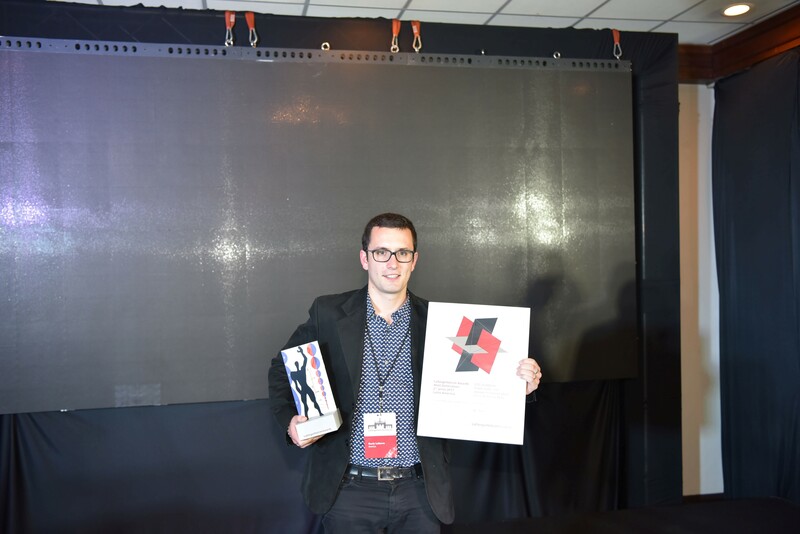 The reception included an exhibition of posters that presented the LafargeHolcim Awards winning submissions from students at the Universidad Nacional de Córdoba. 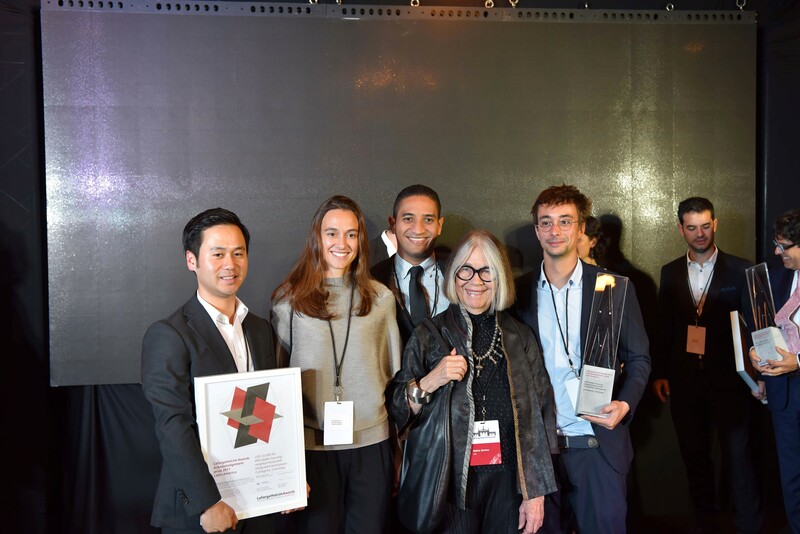 Breakfast preceded the presentations and allowed the informal exchange of ideas on sustainability in design and the Next Generation winners from the LafargeHolcim Awards competition. 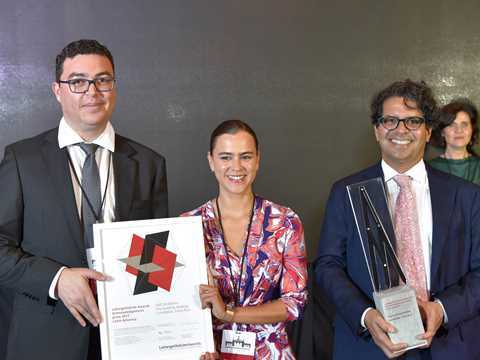 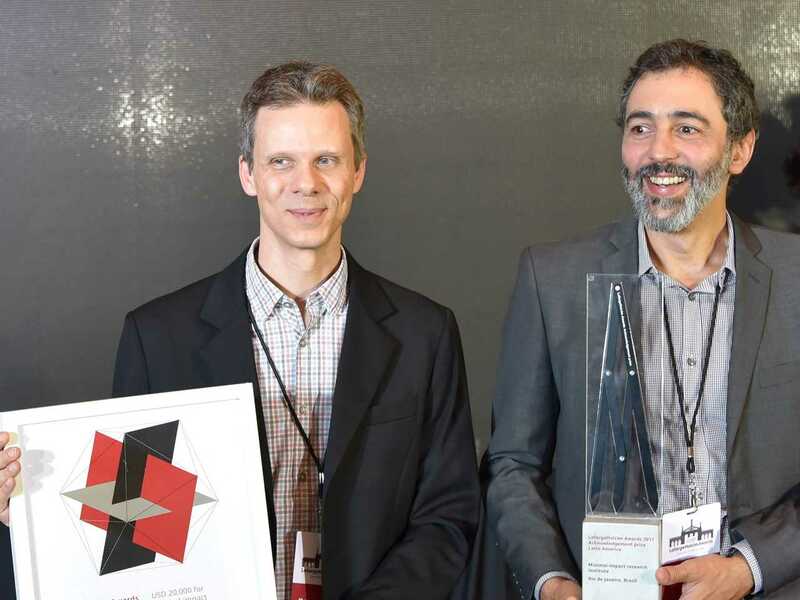 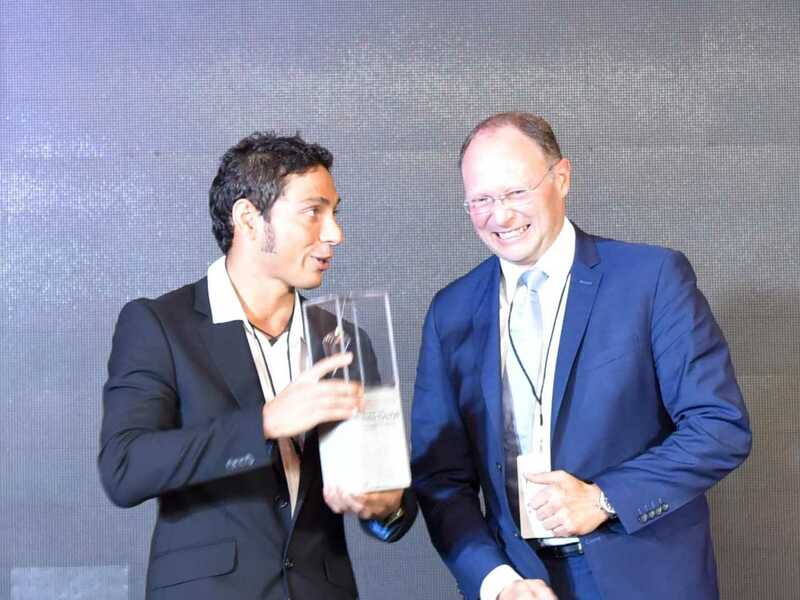 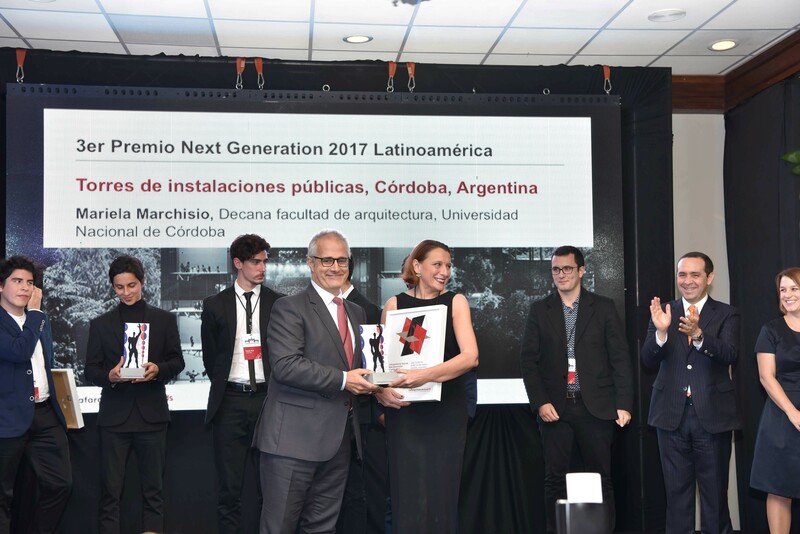 In the recent LafargeHolcim Awards for Latin America, the Universidad Nacional de Córdoba (UNC) continued its unrivalled success, taking out the first and third prizes in the Next Generation category of the world’s most significant competition in sustainable design. 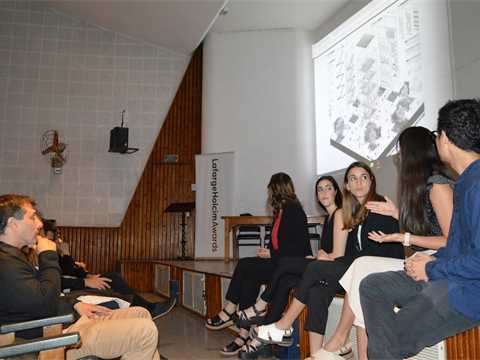 A reception to celebrate the success of UNC students was held at the Faculty of Architecture, Urban & Industrial Design (FAUD) to congratulate the students, present their concepts on sustainability, and promote sustainable construction in Argentina. 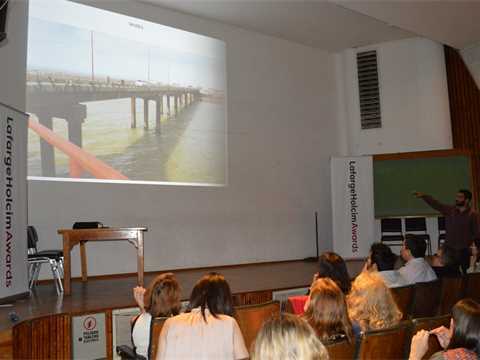 The top prize for the Next Generation category for university students and young professionals went to a concept for a Tidal Energy Landscape where Stefano Romagnoli, Juan Cruz Serafini and Tomás Pont Apóstolo propose an infrastructure for the use of tidal energy in the Río Gallegos estuary at Punta Loyola. Third prize for a series of Public Facility Towers that deliver an array of services for low-income populations as well as to increase social interaction among citizens went to Ángela Ferrero, María Augustina Nieto, María Belén Pizarro, Seizen Uehara and Lucía Uribe Echevarria. 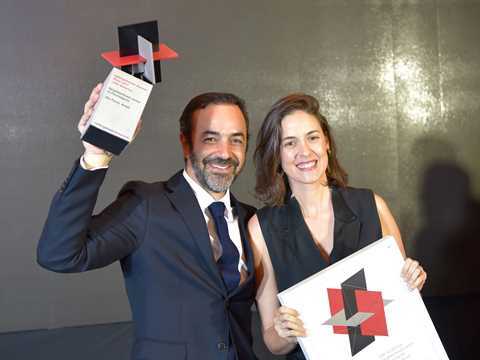 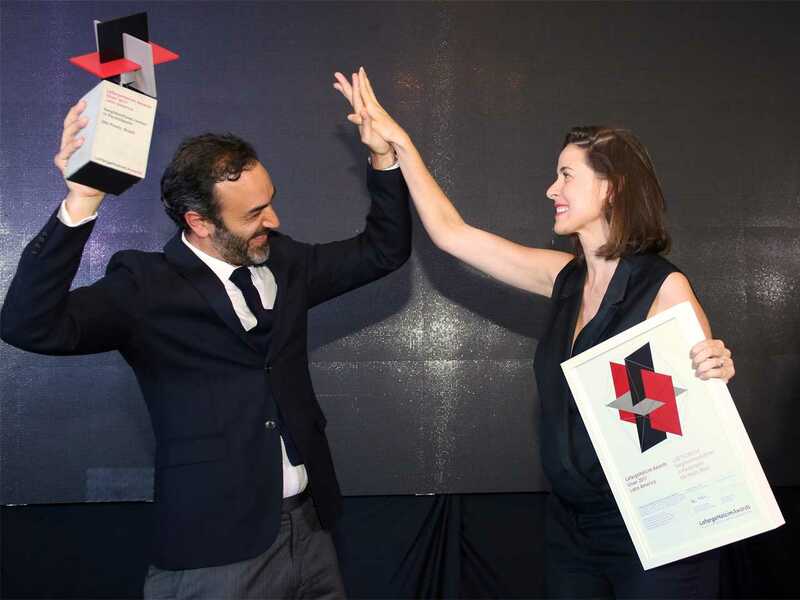 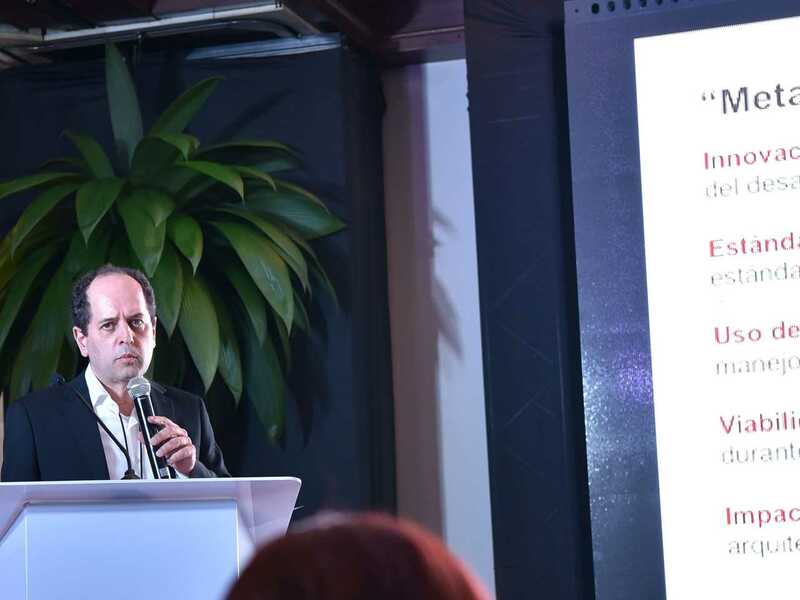 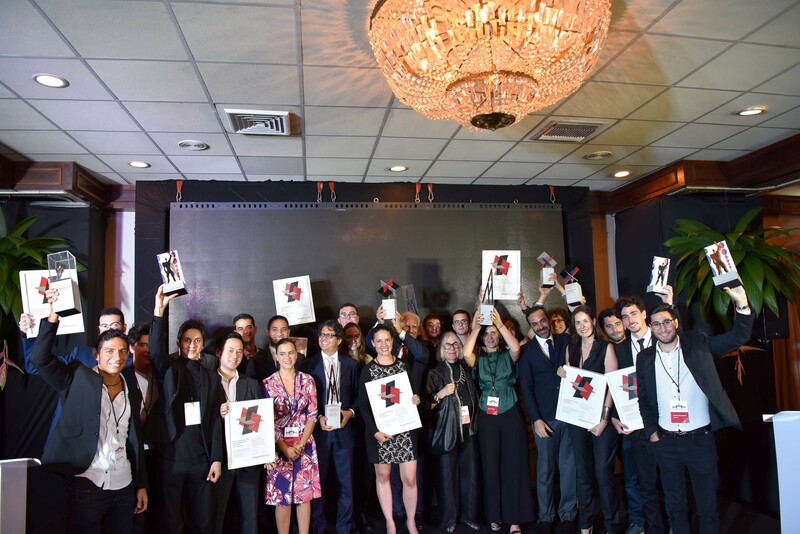 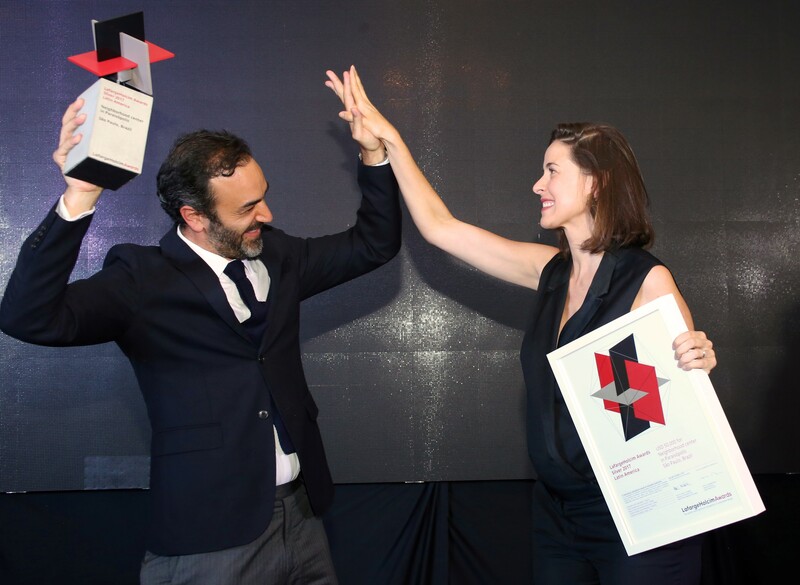 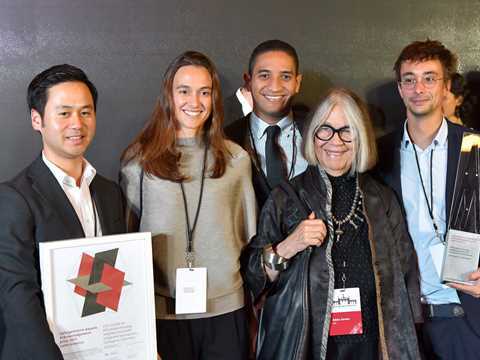 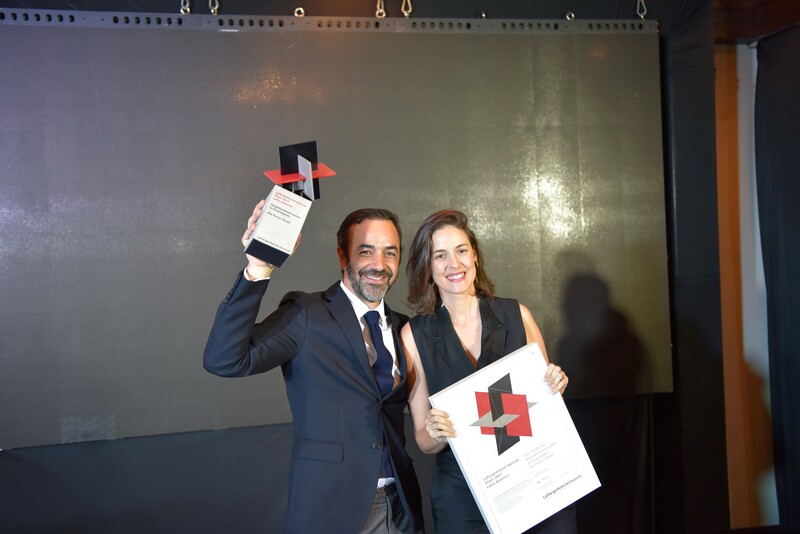 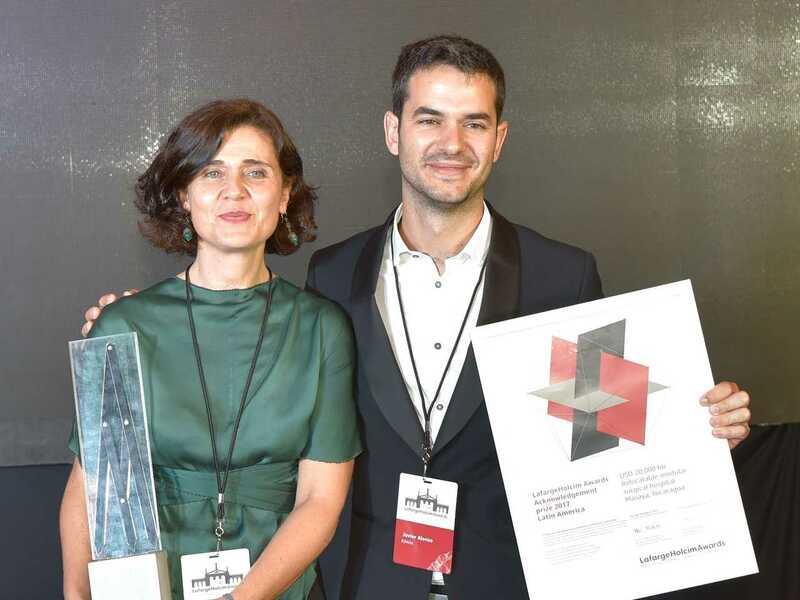 Representatives of FAUD, the Association of Architects of Córdoba, and the Construction Chamber of Argentina gathered together on Friday, November 3 with the winning teams and Mariela Marchisio, Dean of Architecture, who had accompanied the teams to the LafargeHolcim Awards ceremony in Costa Rica. 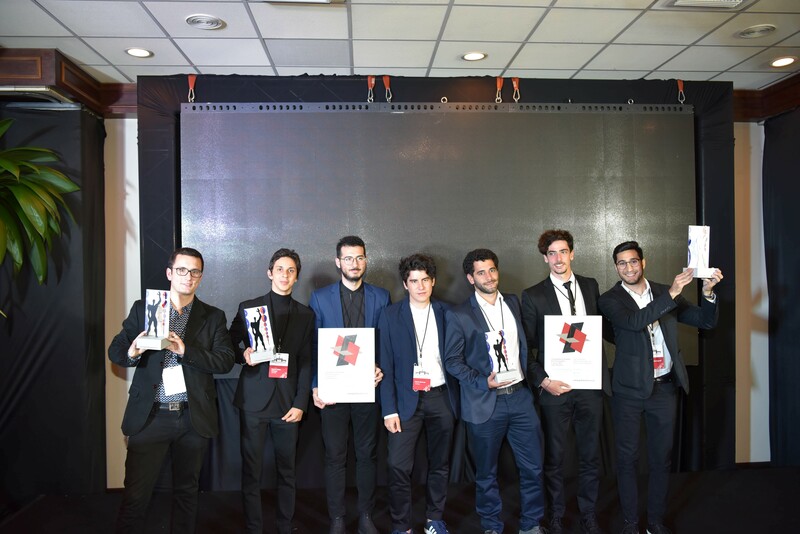 The winning teams presented their projects after a welcome breakfast. 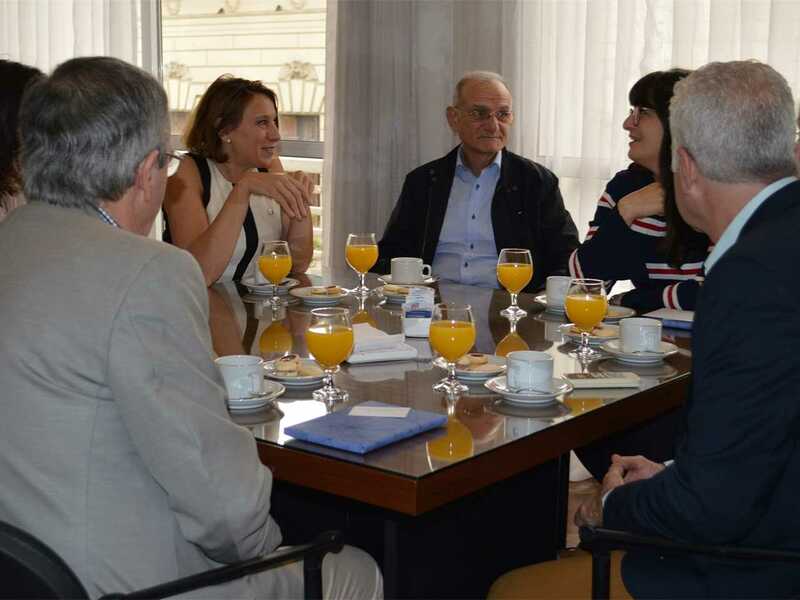 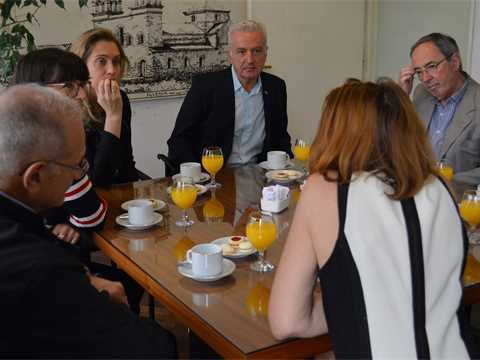 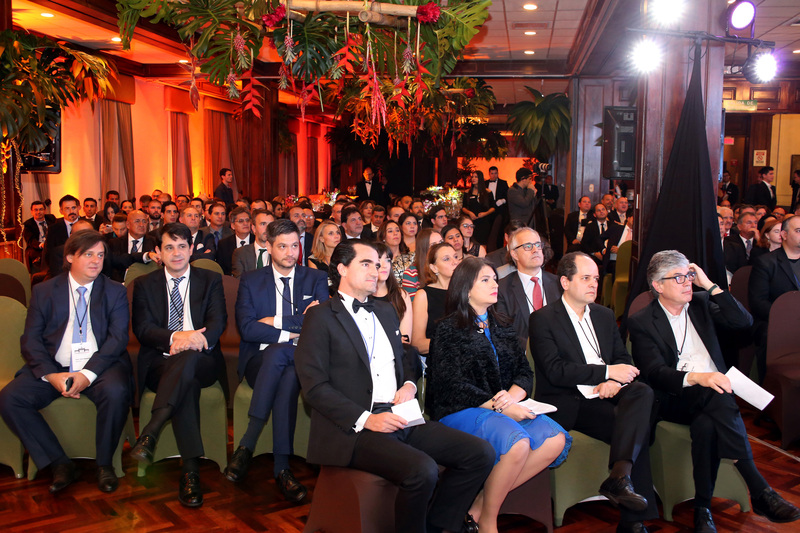 The event was hosted by Holcim Argentina, the Country operations of competition sponsor LafargeHolcim, represented by Belén Daghero and Laura Marina Gomez. Posters of the winning project were exhibited in the Aula Magna of the FAUD. 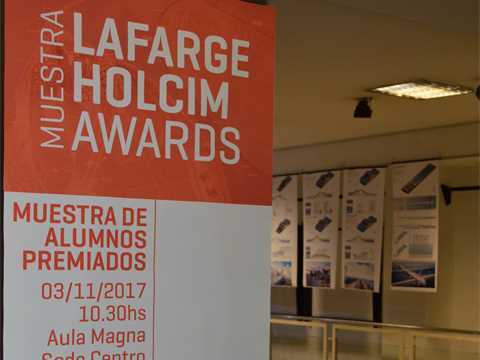 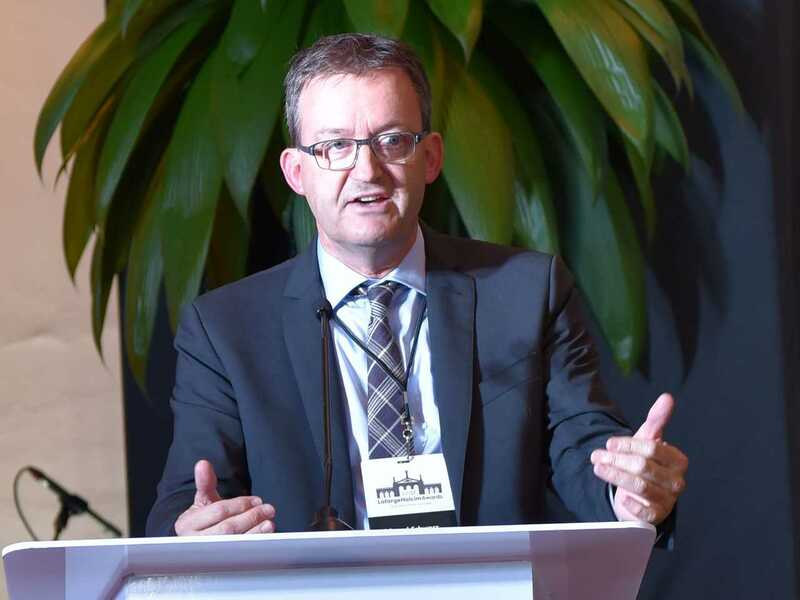 UNC has an enviable record in the LafargeHolcim Awards: students of the UNC have won more prizes in the Next Generation category than from any other university worldwide. 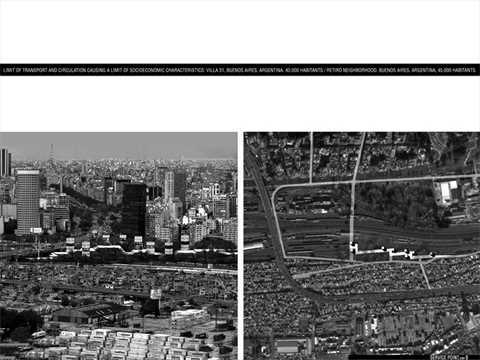 By Stefano Romagnoli, Juan Cruz Serafini, and Tomás Pont Apóstolo, Universidad Nacional de Córdoba, Argentina. 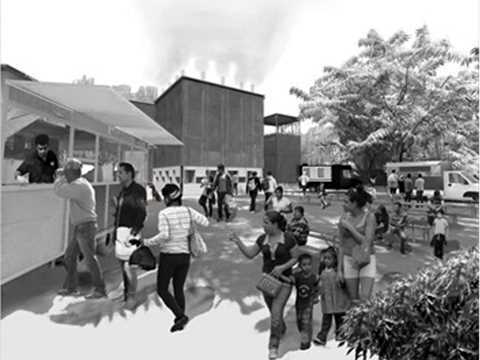 Transferable and adaptable structures providing public amenities in underserviced and typically marginalized neighborhoods of Latin American cities. By Ángela Ferrero, María Augustina Nieto, María Belén Pizarro, Seizen Uehara, and Lucía Uribe Echevarria, Universidad Nacional de Córdoba, Argentina. 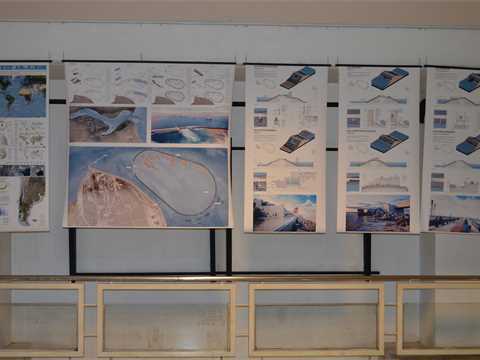 To alleviate problems associated with flooding, the project proposes to transfer the activities currently on the fragmented waterfront to a floating platform in the river. 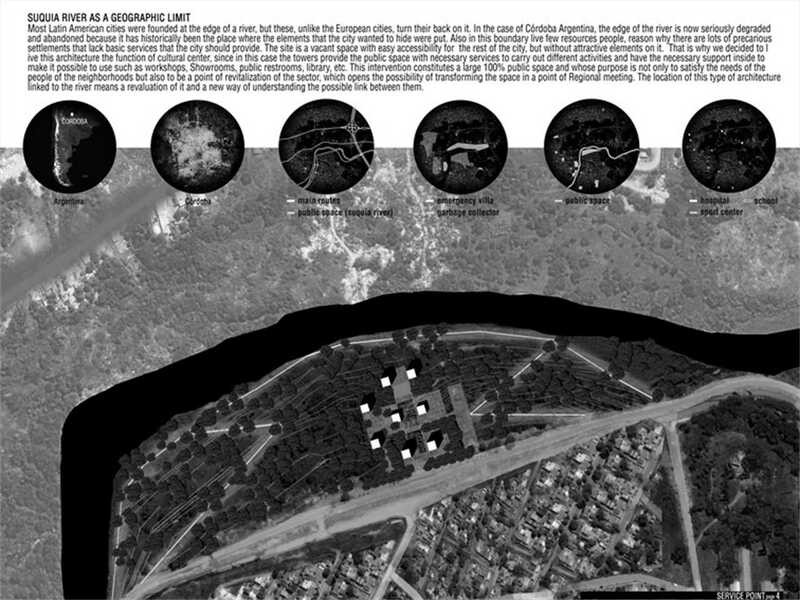 By Christian Barrera, Alejandro Gerardo Alaniz, Ivan Gabriel Baez and Patricio Francisco Cuello, Universidad Nacional de Córdoba, Argentina. Multipliable buildings for flexible use are proposed, including a range of provisions to reduce the environmental impact of the project. By Lucía Zunino and Maya Karenina Wilberger, Universidad Nacional de Córdoba, Argentina. 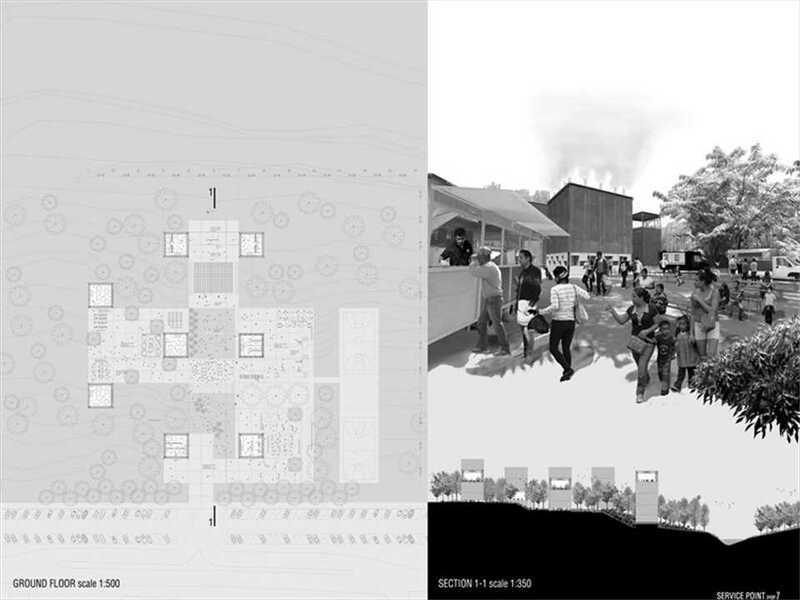 Project depicts a positive turnaround with the beginning of a new cycle – beginning with action, evolution and innovation, reaching for a more sustainable architecture. 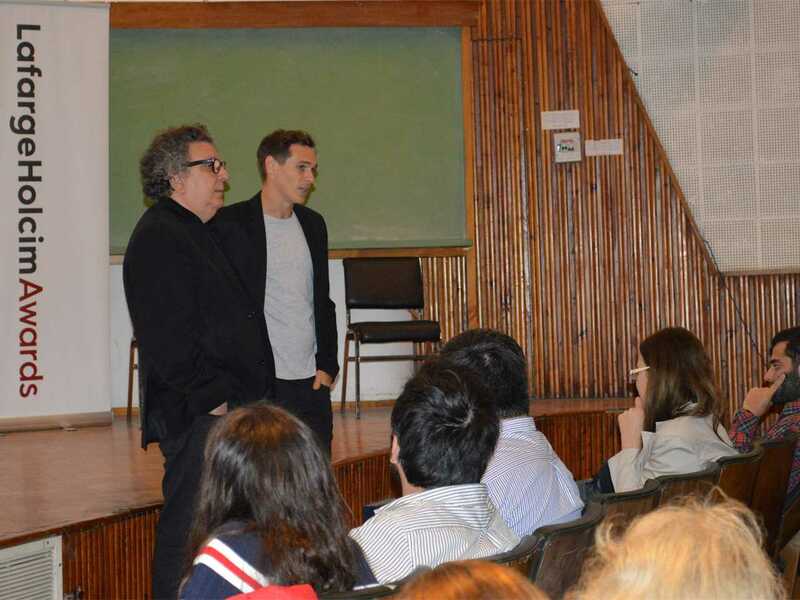 By Mauro Ivan Barrio, Universidad Nacional de Córdoba, Argentina. 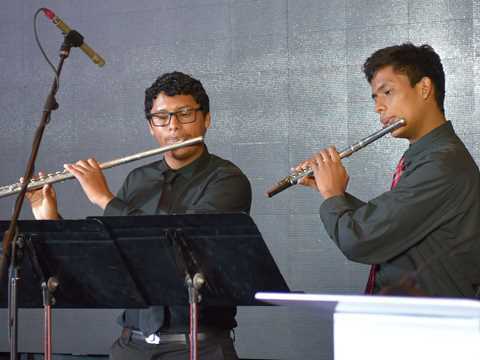 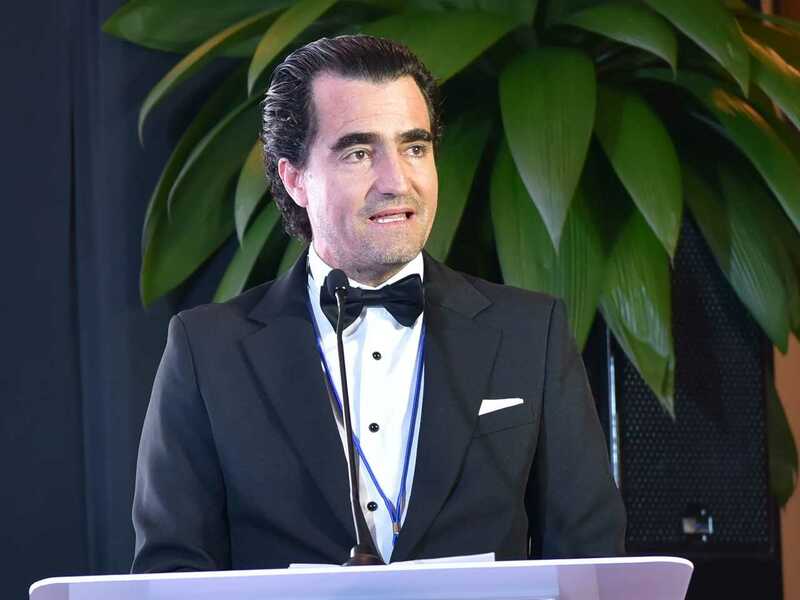 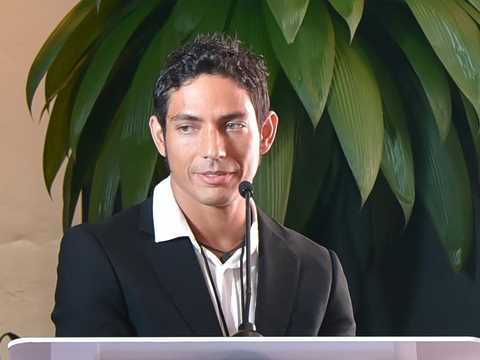 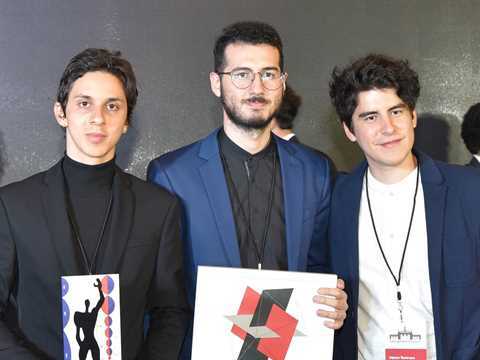 The path of Tropical Storm Nate across Central America and the Caribbean – with heavy winds and torrential rain pummelling Costa Rica – delayed the journey of the Next Generation 3rd prize winning team from Argentina. 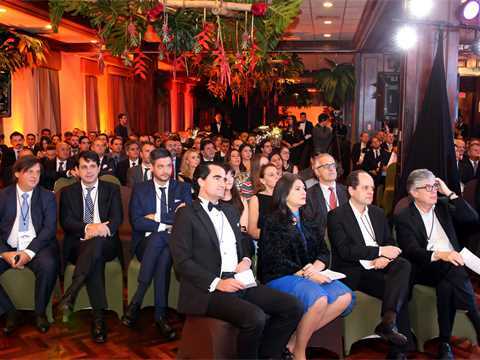 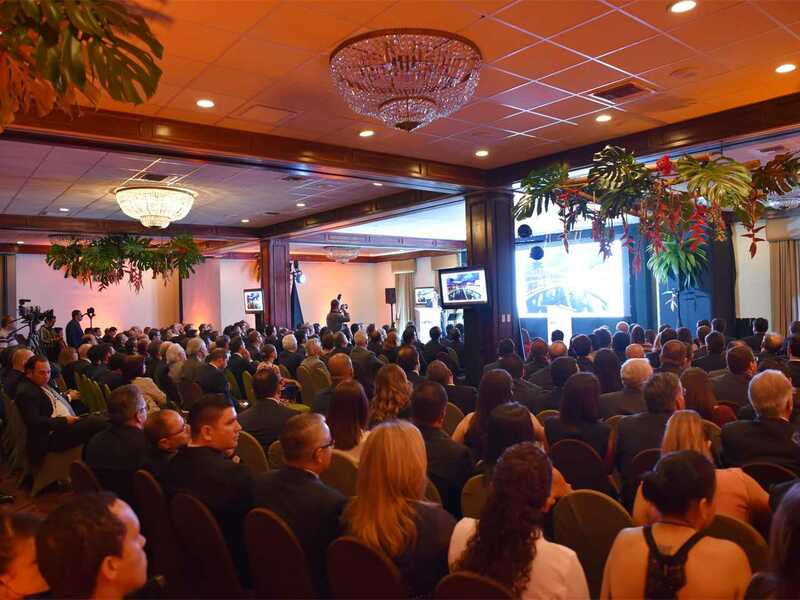 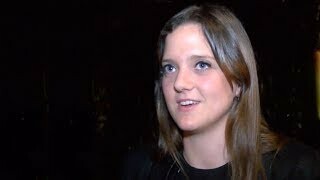 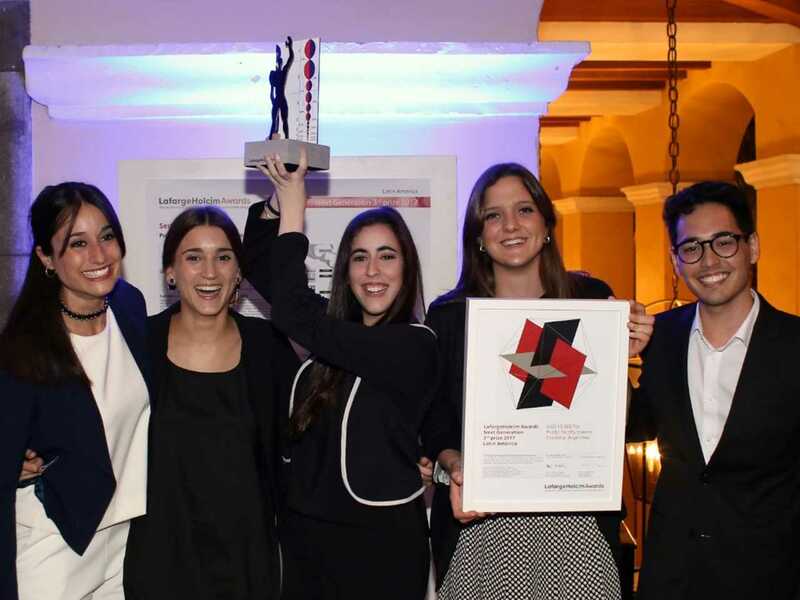 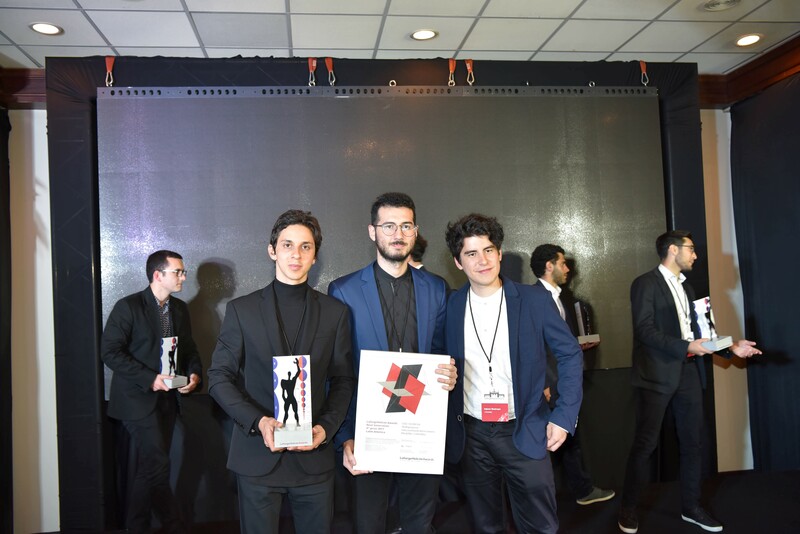 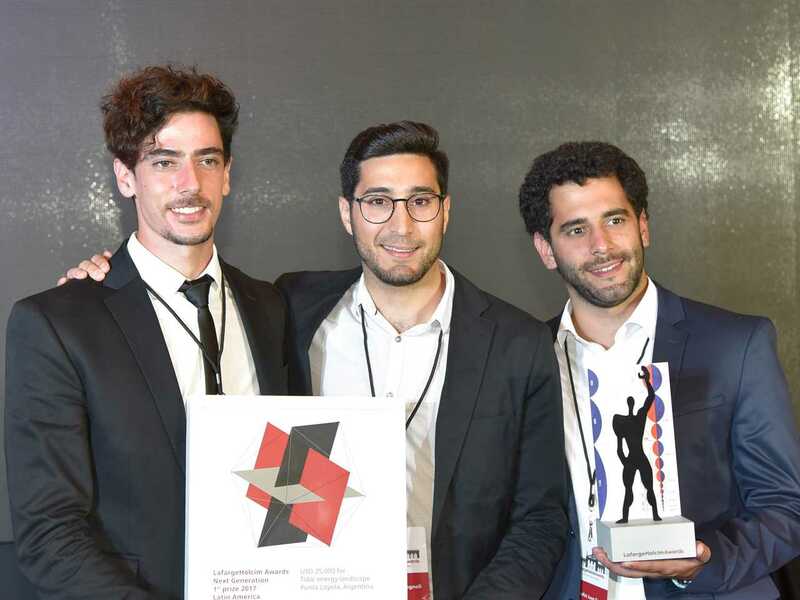 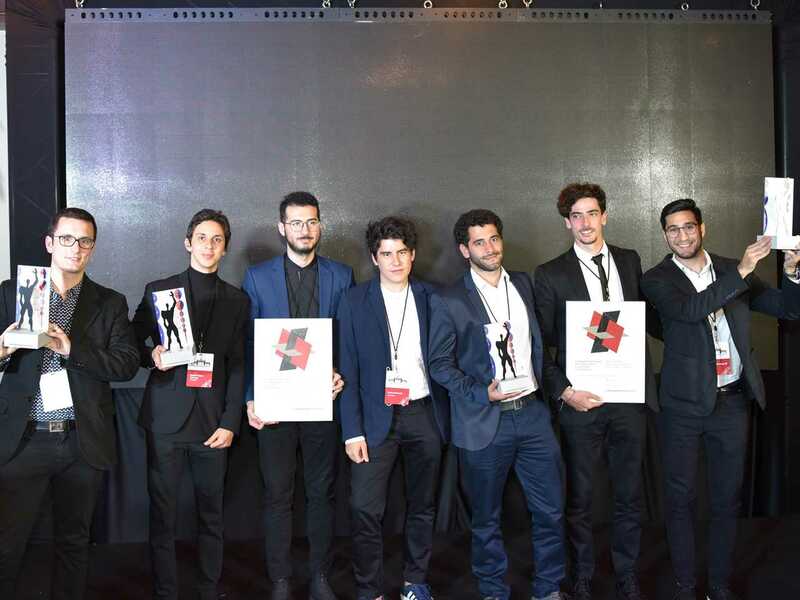 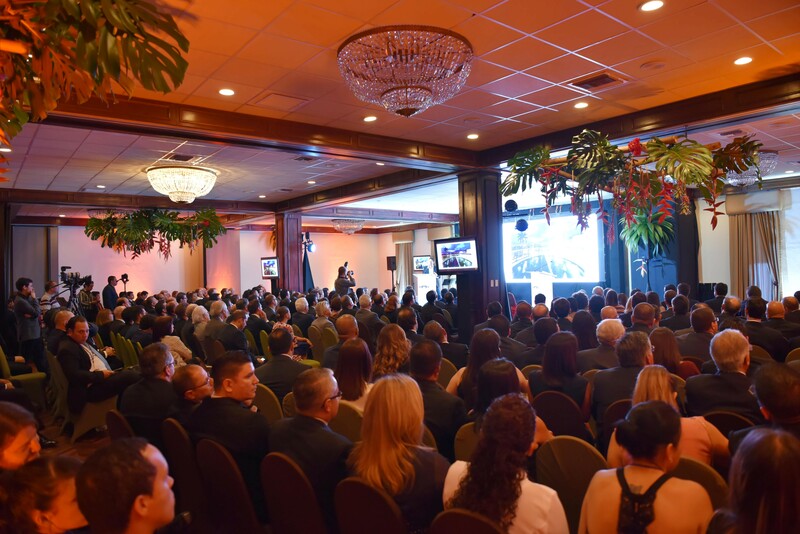 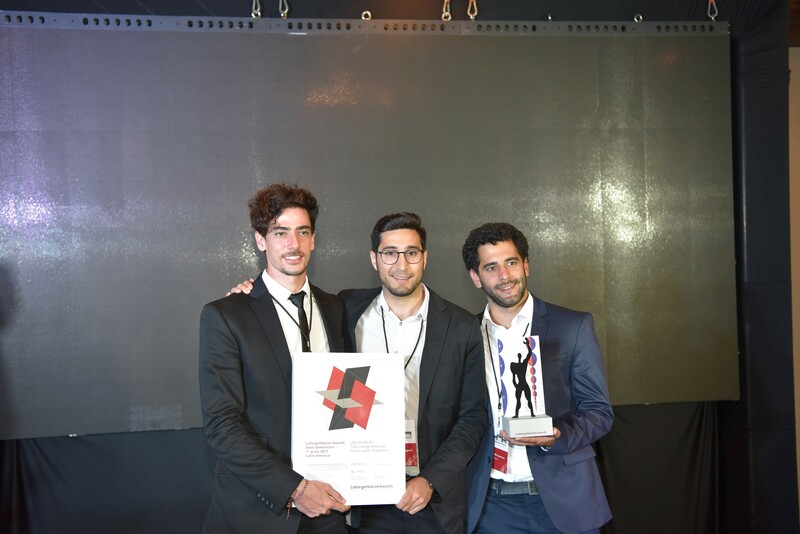 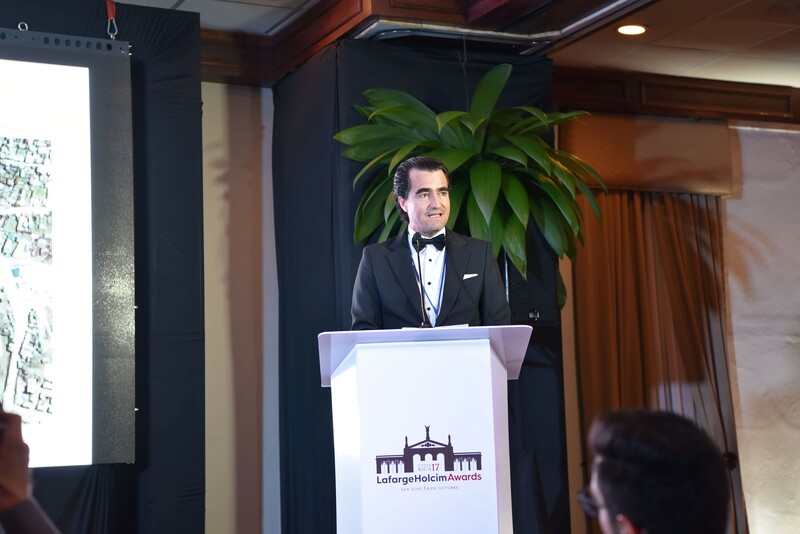 The group of five students from Universidad Nacional de Córdoba were unable to reach San José in time for the LafargeHolcim Awards ceremony for Latin America, but the inconvenience didn’t dampen the team’s spirit. 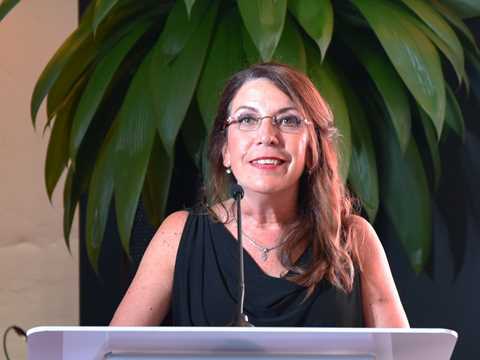 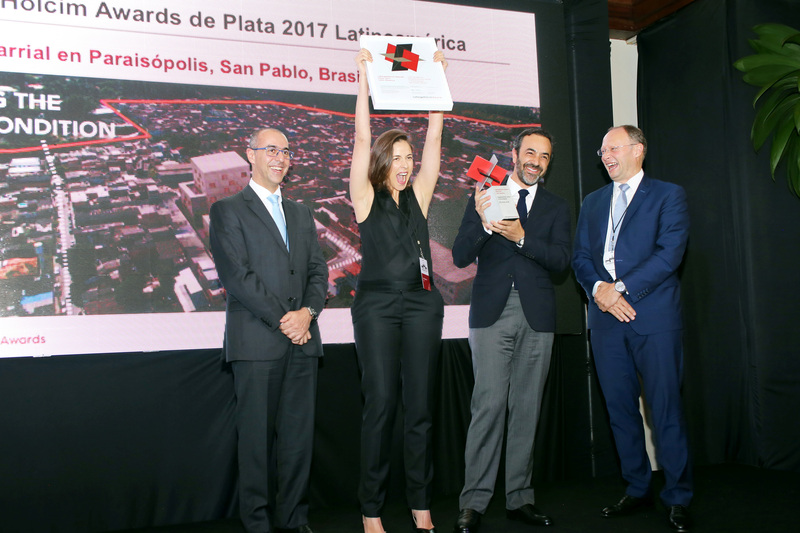 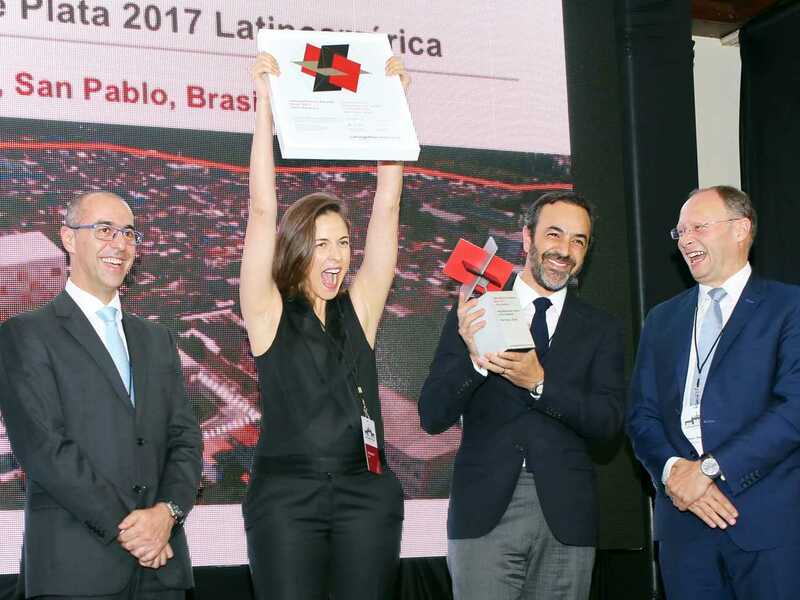 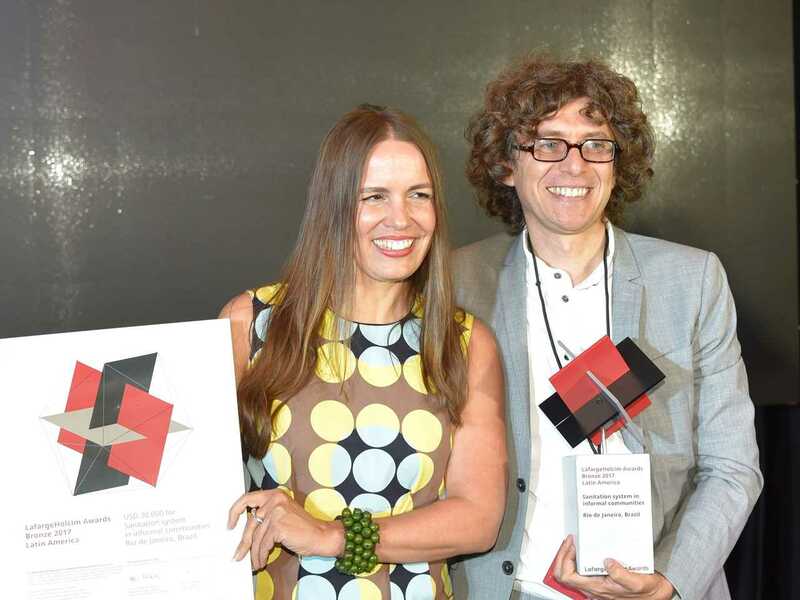 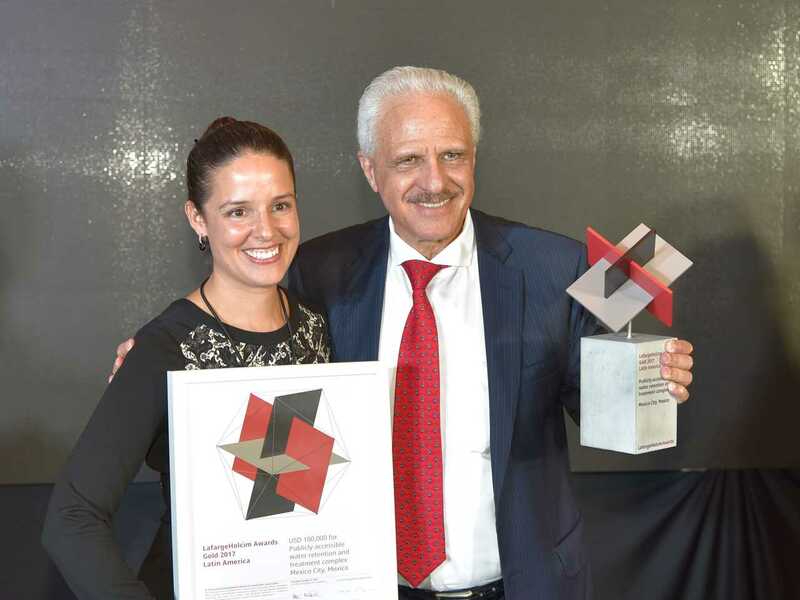 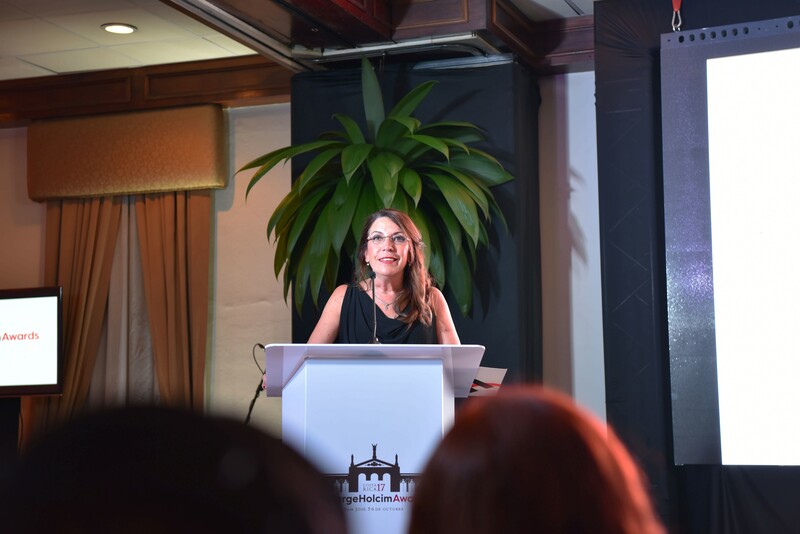 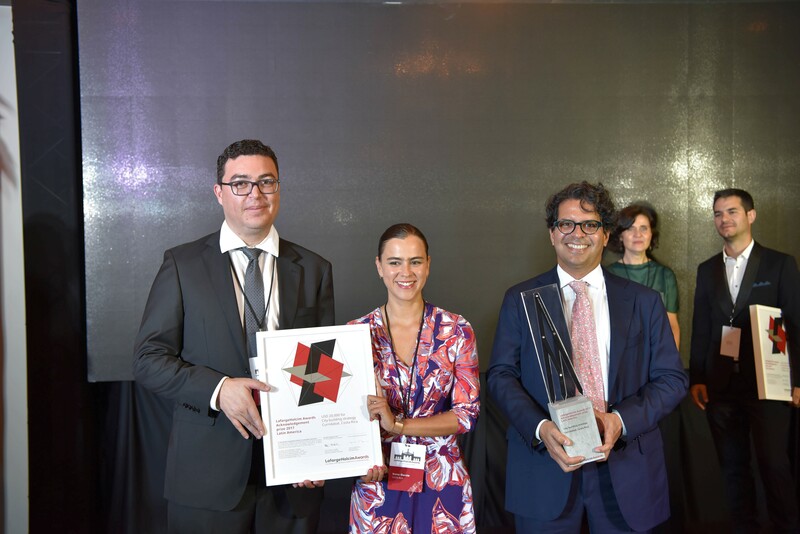 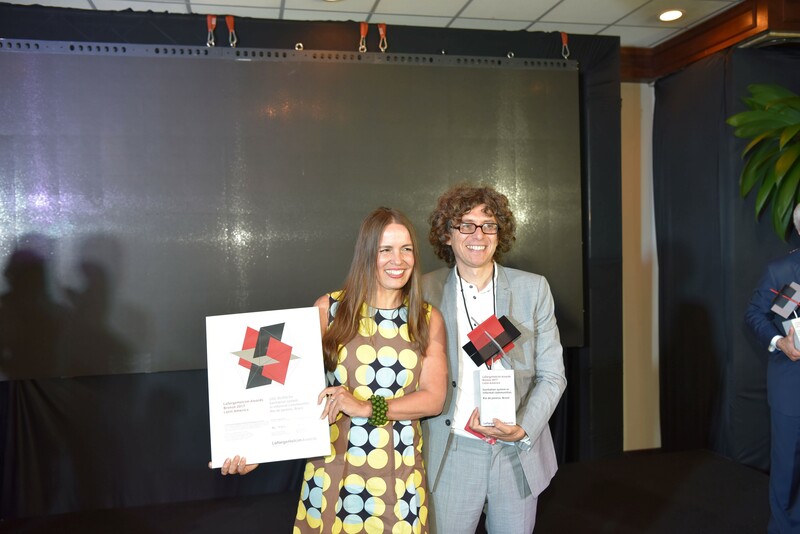 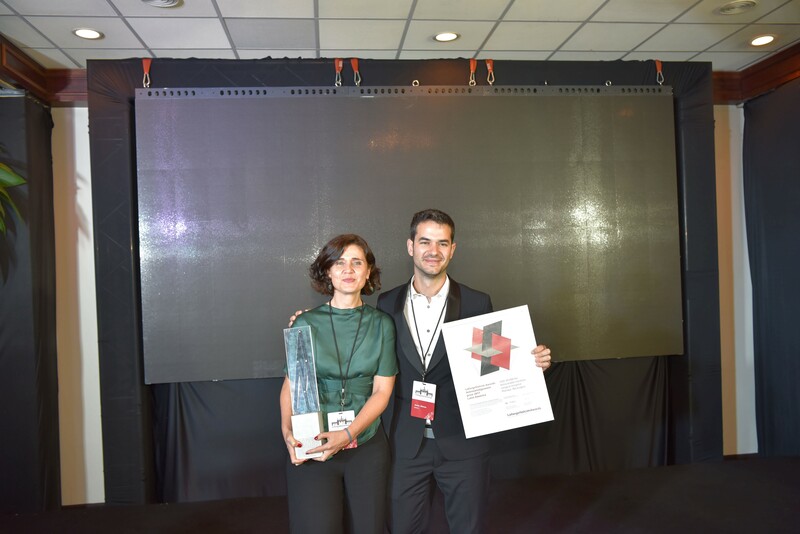 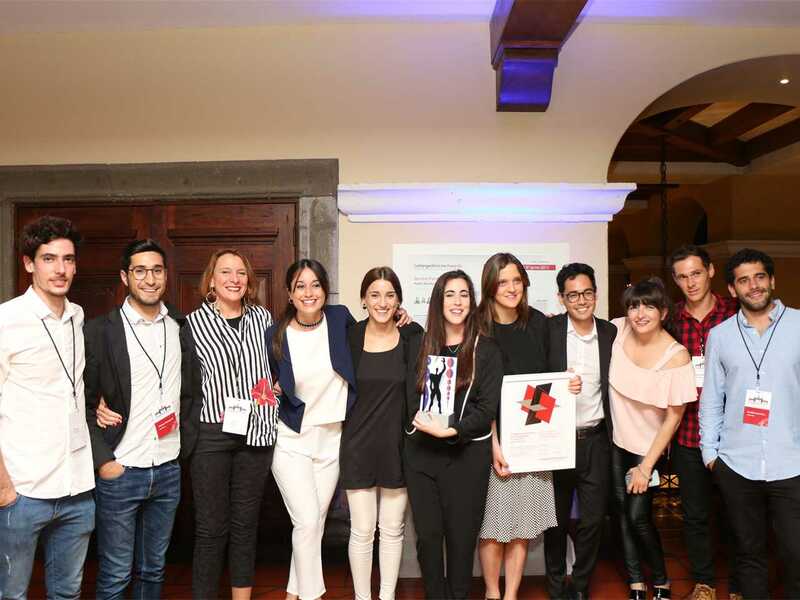 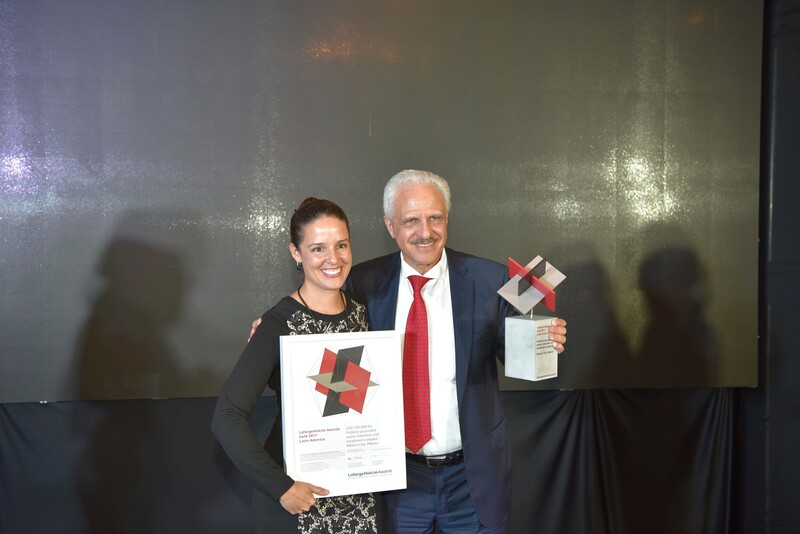 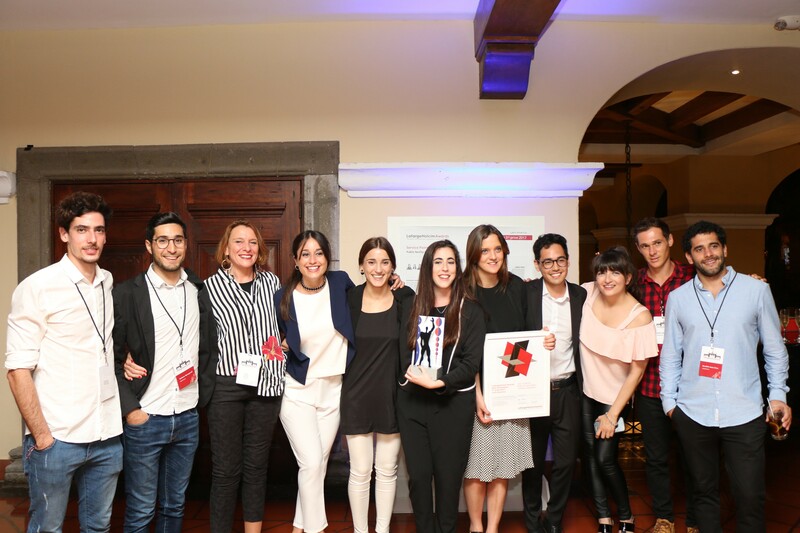 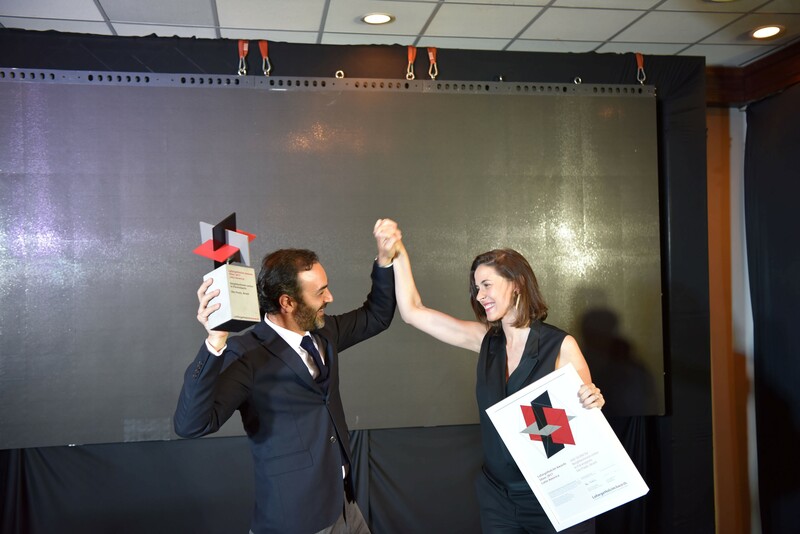 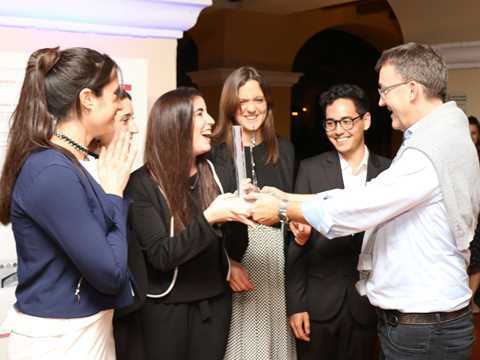 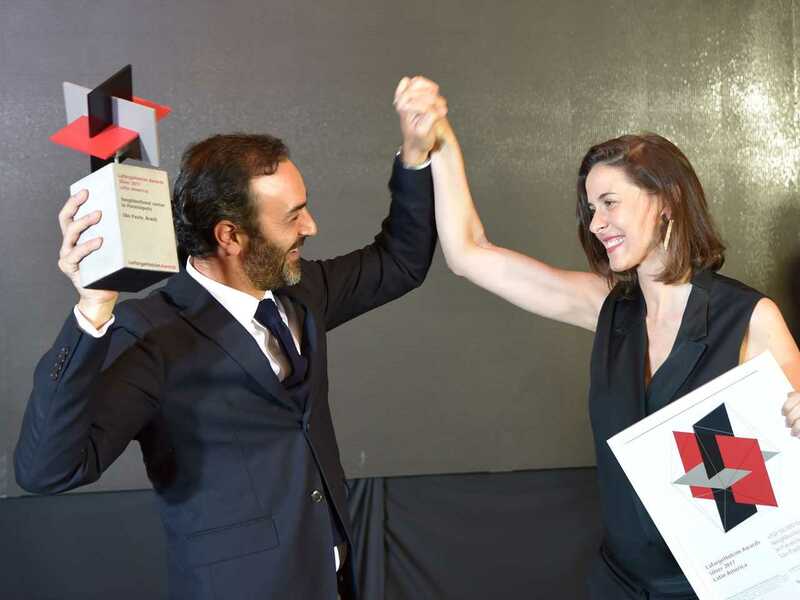 Mariela Marchisio, Dean of Architecture at Universidad Nacional de Córdoba received the Next Generation prize on behalf of the winning team at the ceremony. 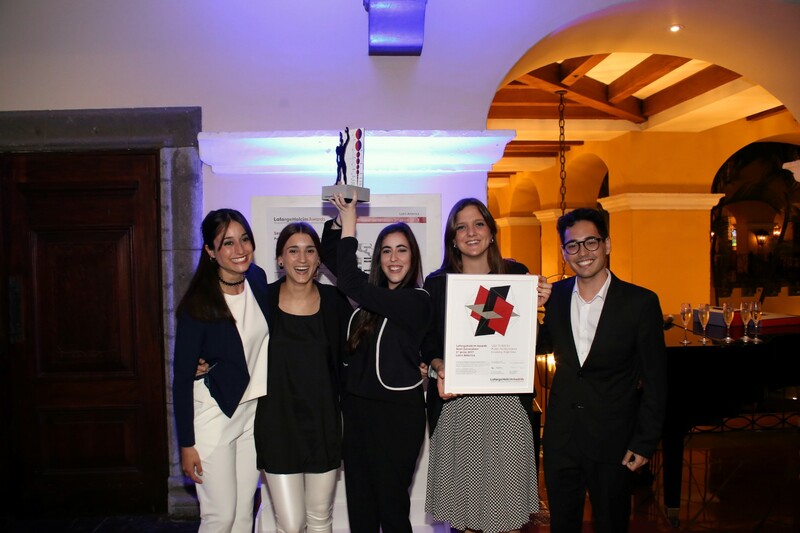 The Next Generation winning team of Ángela Ferrero, María Augustina Nieto, María Belén Pizarro, Seizen Uehara and Lucía Uribe Echevarria arrived in San José on the day following the Awards ceremony and participated in the site tours with other winning teams and invited guests. 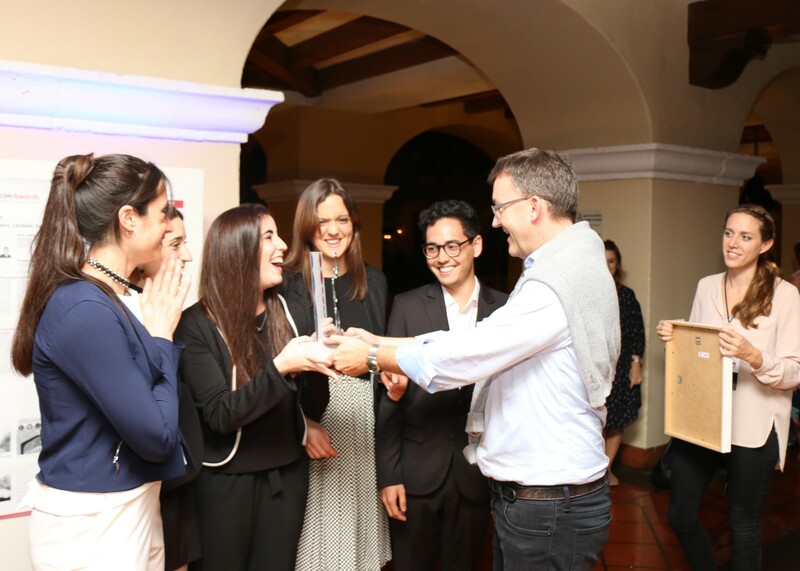 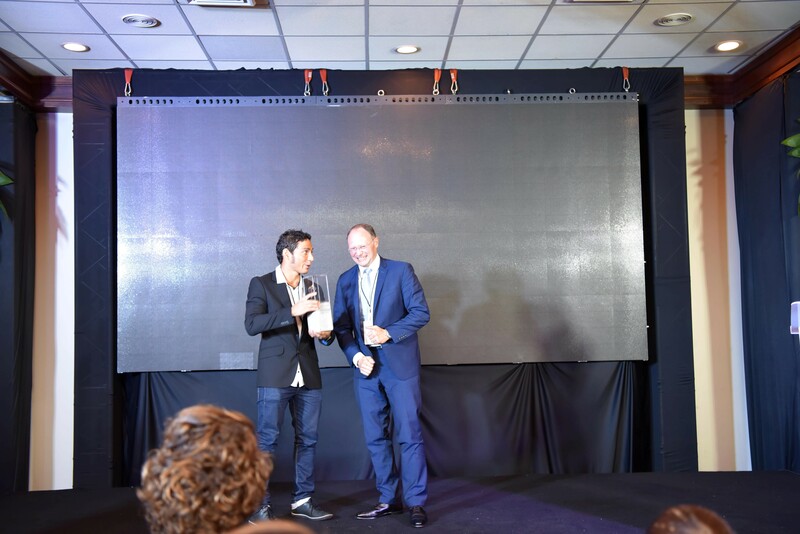 At the farewell dinner, there was a perfect opportunity to present the team with their Next Generation prize to enthusiastic applause. The aim of their project is to insert new small towers within the informal fabric of Córdoba, Argentina. The project’s twofold objective is to provide an array of services for low-income populations as well as to increase social interaction among citizens. “Service Points” are new small towers inserted within the informal fabric of Córdoba, Argentina. 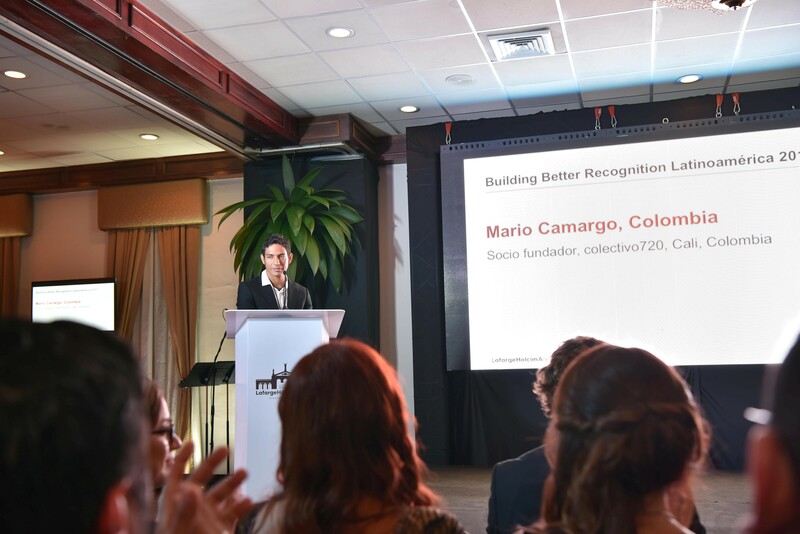 The project’s twofold objective is to provide an array of services for low-income populations as well as to increase social interaction among citizens. 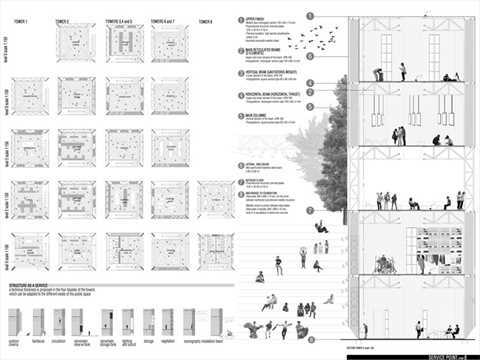 Covering a spectrum of amenities, the towers offer spaces for multiple uses – ranging from everyday activities such as childcare, cooking, and laundry to cultural activities such as theater, music, and exhibitions. In terms of their construction, the towers form an adaptable framework (including the necessary infrastructure), which can be transformed to accommodate current as well as hitherto unforeseen needs. 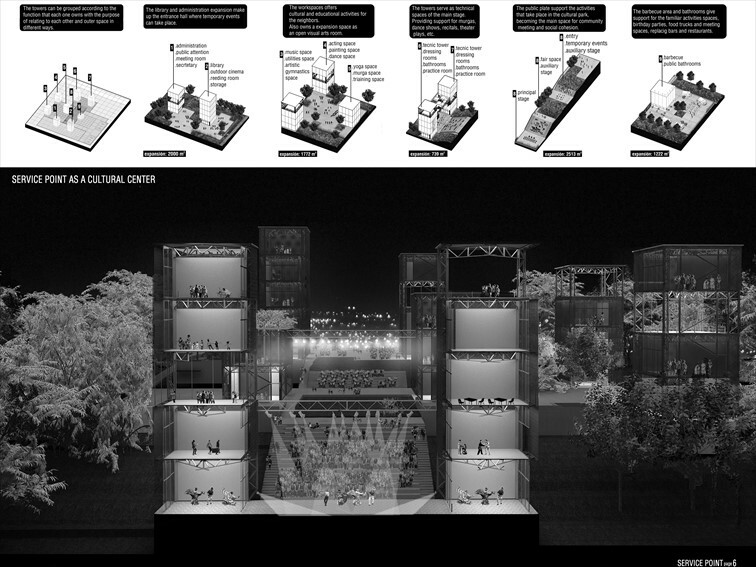 The structures correspondingly define open outdoor spaces, which can be used and thus appropriated by the users as well. We believe that architecture should be summarized to its services, it should contain activities inside, but the strength of the space should be outside, within everybody’s reach. 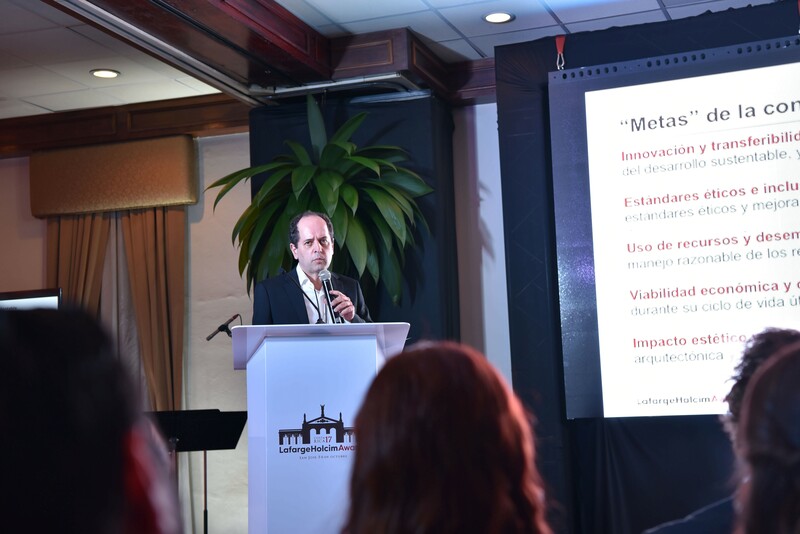 The project seeks the lowest investment, generating the greatest amount of useful meters. 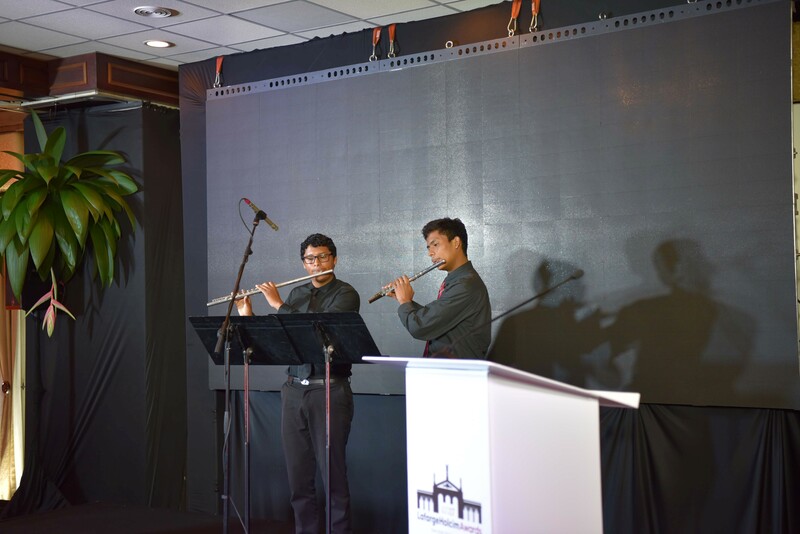 The main structure is made of metallic elements, which allow easy and quick assembly, and the possibility of performing in places of different geographical and climatic conditions. 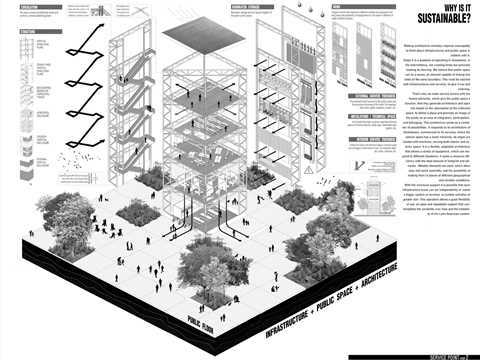 The structures are designed to seek maximum efficiency, composed of the least amount of elements, and which generate free spaces, adaptable to different types of buildings. 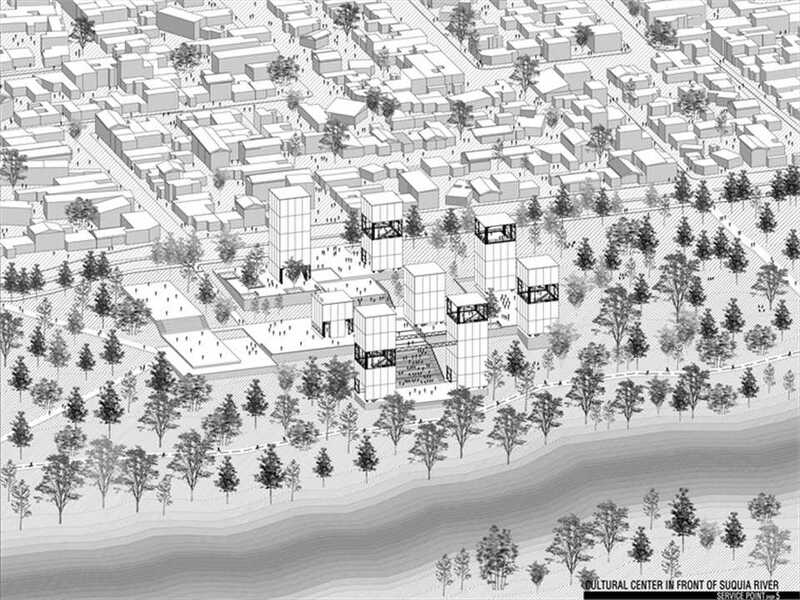 Each infrastructure tower can act independently or create a system of services more ample to contain activities of greater size, adapt to different dimensional requirements. The top of these service towers is designed to receive rainwater, and in the thickness of its edge contain water reservoirs tanks, allowing irrigation and water supply throughout the project. The towers are designed with the least possible amount of elements, and with prefabricated parts that can be easily assembled in the place, reducing the impact in the area of intervention. The material is steel, which allows for sustainability over time, as maintenance is minimal and maximum durability. 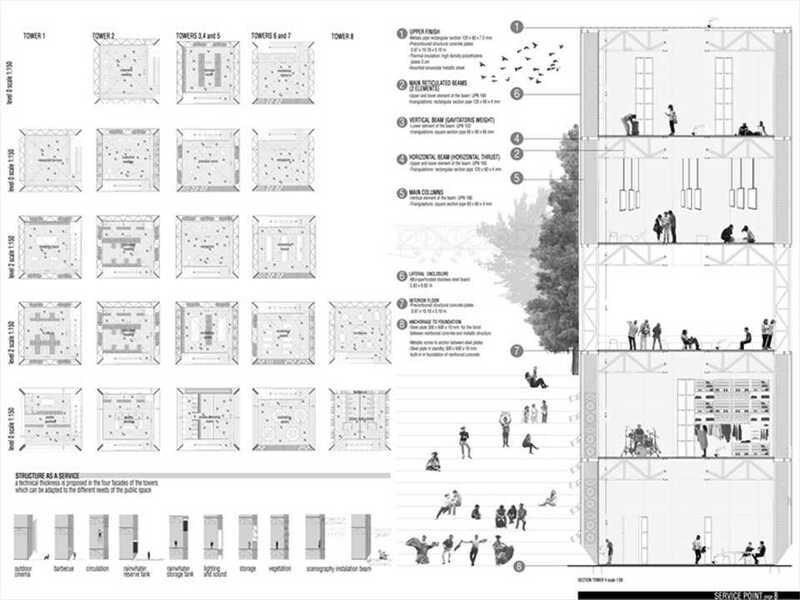 The main structure generates a thickness of one meter in the enclosure of the towers, which generate a double façade, which in addition to being functional to use, serve as a climate filter, helping to create living spaces inside, reducing energy consumption for heating and cooling. 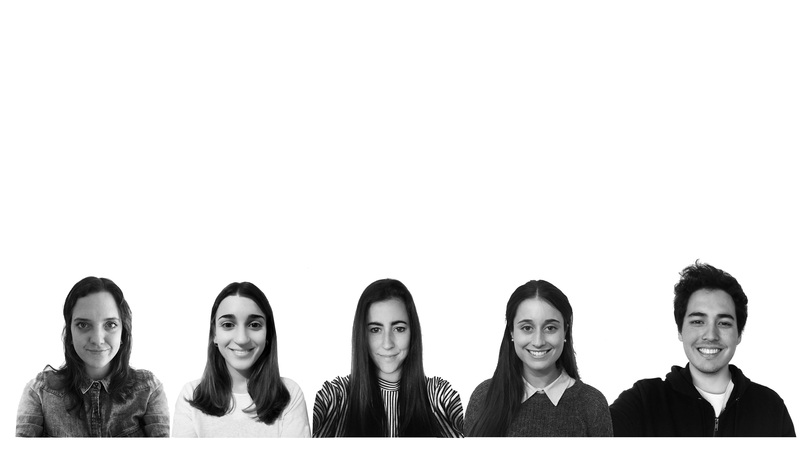 We seek the way in which limit that acts like separation can be resignified, operating as a link. 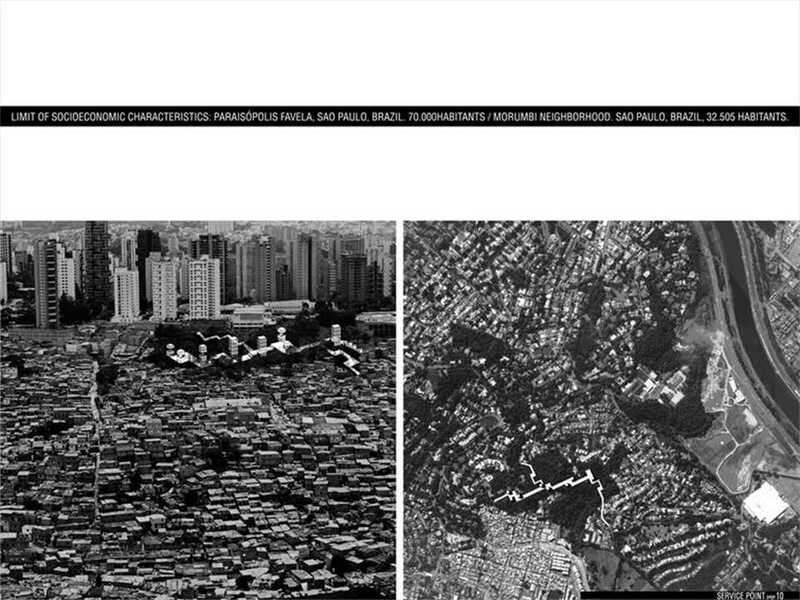 Private entities and public policies operate with disaggregation to solve problems. We believe that public space, infrastructures and service architecture are the material ways to carry out this union. Public space is a nexus, an element capable of linking two sides of the same boundary. This must be injected infrastructures and services, to give it use and direction. We believe that architecture must be functional above all things and should serve everyone equally, helping the social mixture. The project generate architecture based on the valorization of the collective space promote an image of the public as an area of integration, participation, and belonging.